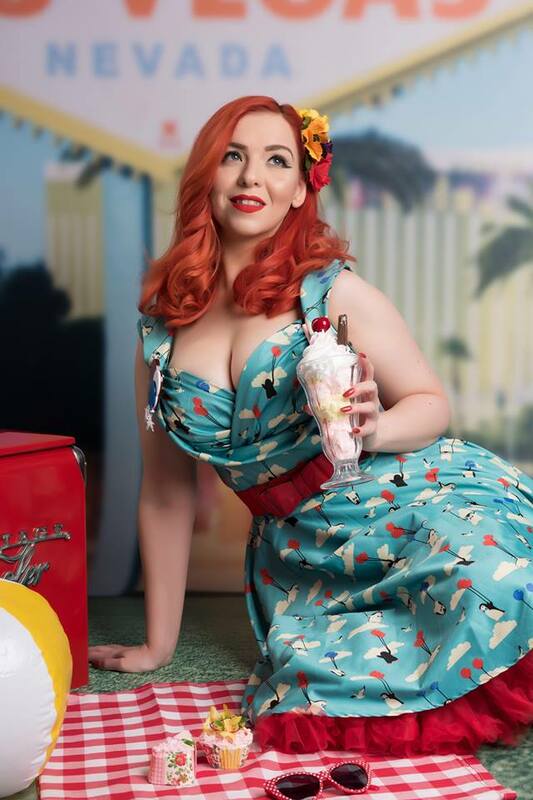 I was recently taken aback by a message I received via Instagram (@lecurvykitten) when I was contacted by a local professional photographer, Louise, of Photo Stoke Studios, who was looking for a fan of the pinup look to shoot as practise for her newly launched Peggy Sue Pin Up makeover shoots. I was primarily flattered to receive such an offer but then my insecurities and introverted thoughts crept in and told me not to answer, that I'm not a model and don't deserve such opportunities. Thankfully I squashed those little demons under my leopard print heels and replied. Louise informed me that everything would be taken care of, including hair, make up, outfits and accessories and all I needed to do was turn up! 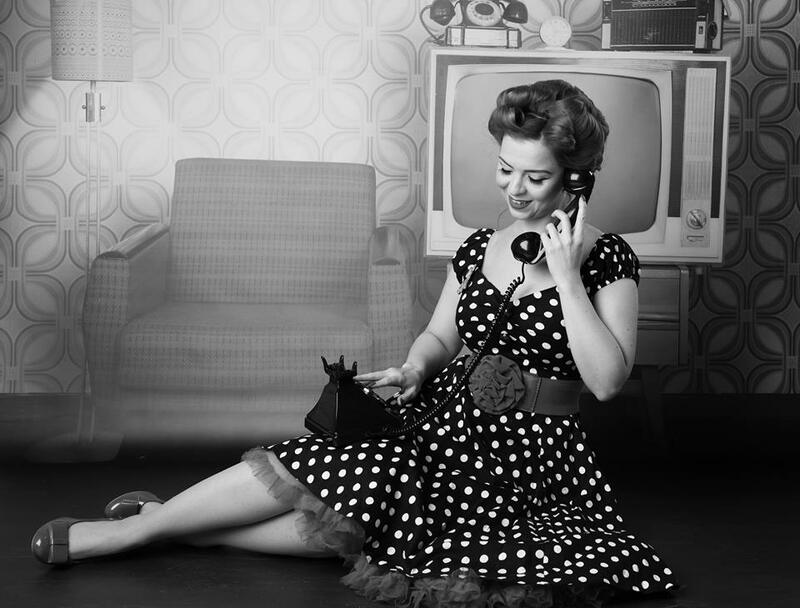 She said I could bring my own outfits if I wanted to, and since I have a lot of vintage reproduction attire, I chose to do that. 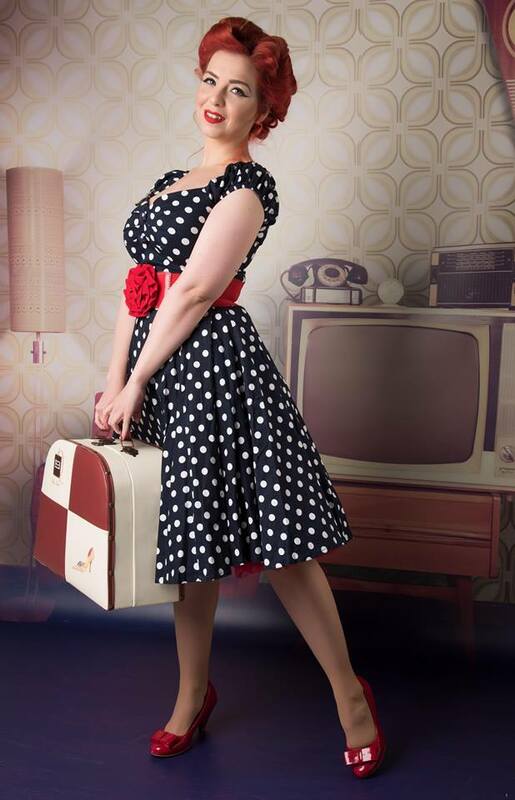 With a huge bagful of clothes, petticoats, shoes and accessories I was greeted by Louise, who introduced me to her my hair and make up artist for the day, who soon got to work curling and pinning my hair up. We then moved on to make up and my look was ready. With the help of Louise, I picked out what I'd be wearing for each set, and after slipping into my first outfit, I was shown into the studio. 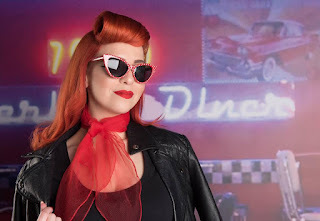 Photo Stoke Studios has 4 vintage backdrops; a lounge room, Las Vegas, a retro American car and a classic 50's diner. 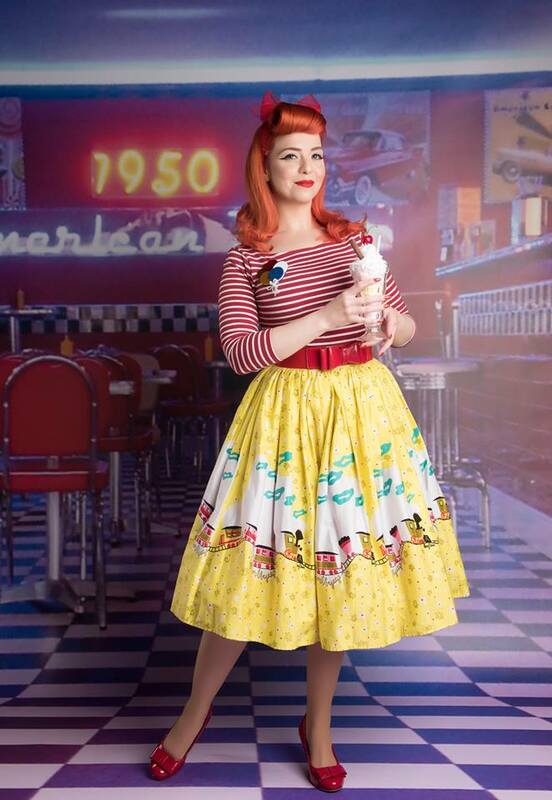 There are also a plethora of genuine and reproduction vintage props to shoot with, such as a hairdryer, telephone, radio and the obligatory milkshake! It didn't take me long to get into the swing of things as Louise has a great personality and knows what she's looking for in her shots. We both worked together to come up with poses and expressions and I hope I helped her as much as she helped me. Based in the heart of Stoke On Trent, there's excellent access from Shropshire, Manchester, Birmingham, Liverpool, Chester, Derby and Nottingham to name but a few places. Photo Stoke is a short taxi ride from Stoke On Trent train station which has a taxi rank right outside. 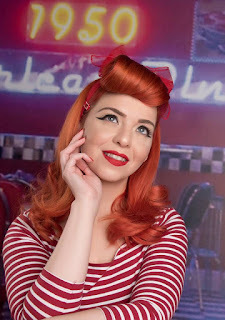 I'm sure Photo Stoke's Peggy Sue Pin Up makeover shoots will be a roaring success. If you're a vintage aficionado, new to the vintage scene or just love the pinup style, then get in touch with Louise at Photo Stoke and book a shoot! 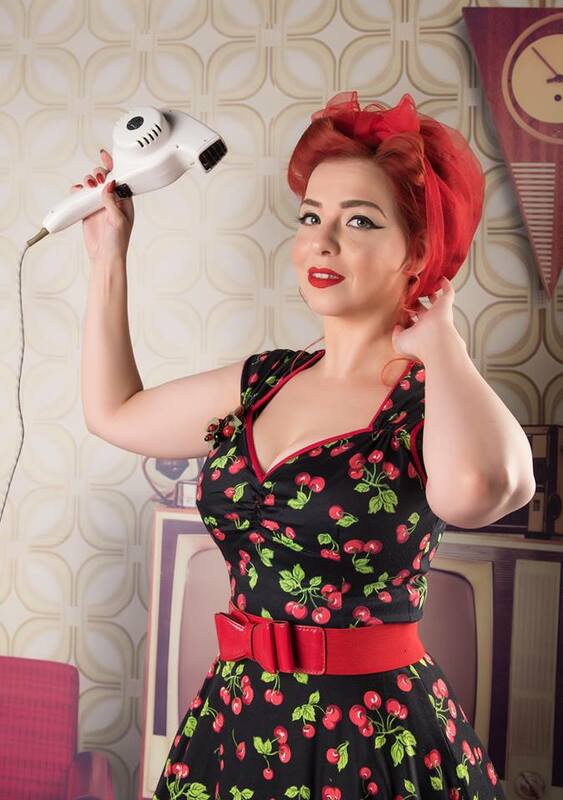 With Christmas fast approaching, you can even buy vouchers online to treat the pinup in your life, or for yourself of course! Photo Stoke offers a number of shoot packages and if pinup isn't your thing, they also do makeovers and mini makeovers (6-16 years), boudoir, bump to baby, newborn, family shoots, fairy and elf toddler shoots and my personal favourite, pet shoots! Check out their website for more information and contact details. I’m glad you squashed those demons in your head! 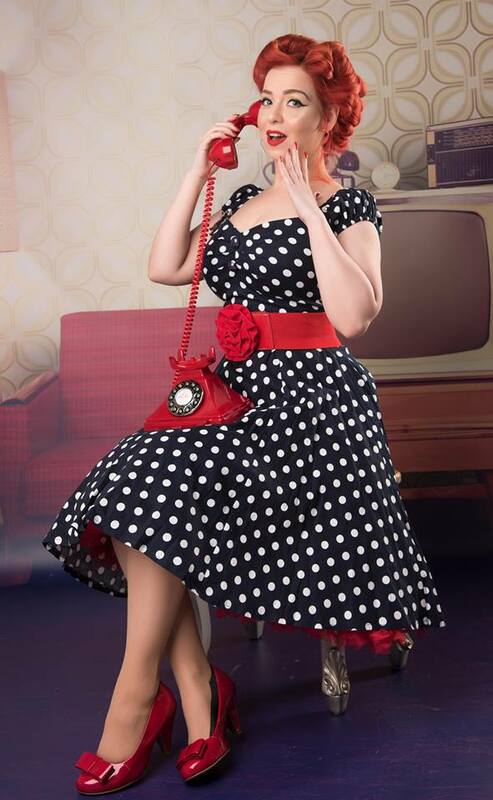 It’s obvious you are a fantastic pinup model and it’s no wonder she asked you to be involved! All those shots are wonderful! You pull off so many different looks, each as stunning as the one before! Thanks for sharing and keep saying yes! You look beautiful modelling the pretty dresses and skirt in these wonderful pinup photos! 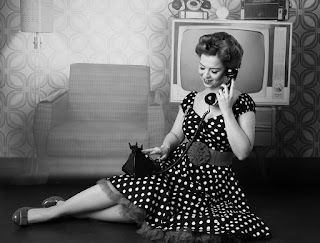 I love the outfits, the styling and the vintage style settings. Fabulous!